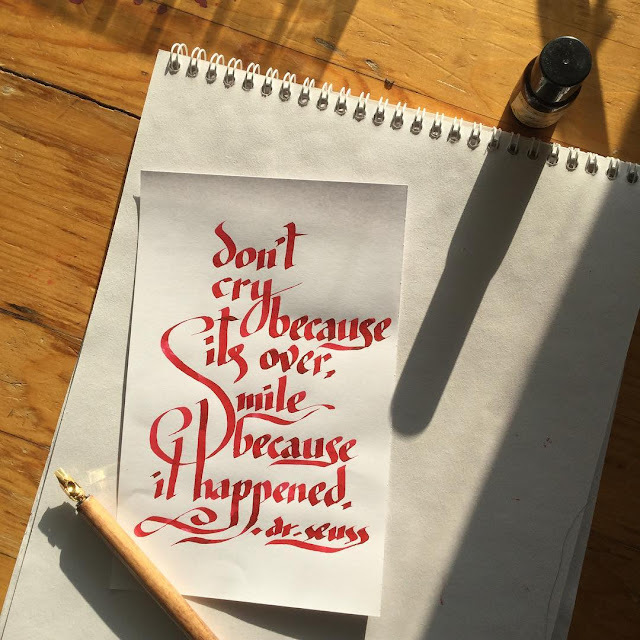 Sometimes all it takes is a quotation and a calligraphy pen. I've been getting back into this old hobby and feeling pretty smug about results. Until I look at it again and see all the flaws. I guess that's part of doing something new ... try and try and try. I hope you're all enjoying the upcoming summer! I am loving the sun streaming in while I scribble around.